The live video streaming is very helpful for the brands and new startups to build the better presence across the web. The live interaction can help you to let them know who you are.Live Video Streaming for Brands is the best way to connect with the consumers. Though the e-commerce and online shopping have raised its market, still there is no complete satisfaction for the consumers who are buying the goods online. That small satisfaction gap is real-time selling and real-time purchasing like traditional market. Consumers are generally expects some description from seller real-time while purchasing. These factors are revealed from many shopping blogs as the customers and audience felt the same in their comments when they are enquired about the shopping experience online. So, this live video streaming can fill the gap between the interaction of brand and consumers. The live video streaming is very powerful as it is the best way to receive good trust from the consumers and audience. It also helps the brands and marketers to achieve higher conversion rates from the audience towards the product. The unboxing videos and how to videos with live interaction help the audience to make their right choice towards their purchase. So, brands and marketers are not ready to lose their chances to increase the sales leads of their company. Marketers already succeeded by answering the consumer’s questions and queries about their products and some brands have already changed some of their features with the suggestions from the audience and get connected with them which in turn increased their sales potential. Finally, the live video marketing is the powerful and the best way to reach the targets of branding. Ecommerce has developed to the next stage with the touch of latest mobile technology, app, digital marketing and especially live streaming video marketing. The main agenda of the E-commerce sites are to convert the audience into consumers by attracting them with various tactics which can include with the various types of advertising practices. Video has become the most used weapon since few years and it has turned the market completely. Today the same video was utilizing in different innovative was to increase the reach and stand up to face the competition in e-commerce business. Live video is one such form of video advertising today. The real-time and live events fever has also touched the e-commerce sites across the web and now competing with the live streaming events, product launches and many more. Here are some ways to boost the e-commerce conversion rate using the live video. Many e-commerce stores had experimented with the lively conversations with the audience to grab the sales from the audience. They are educating the people with live videos by demonstrating the pros and cons of a particular product which is attracting the audience in real time. The new product launching is also going live on various applications and platforms like YouTube, Facebook, Blab, Periscope, Meerkat etc. these applications are allowing the brands and e-commerce marketers to get connected with the real-time audience. So, by broadcasting the live stream on their new product launch developing the interaction between the audience and the brands or marketers which can help them to catch the sales. Some companies are taking suggestions from the audience and showing their own importance to the consumers with live events and offers at festive season and off season sale. This way is helping the e-commerce marketers to increase the e-commerce conversions with the live streaming video marketing. 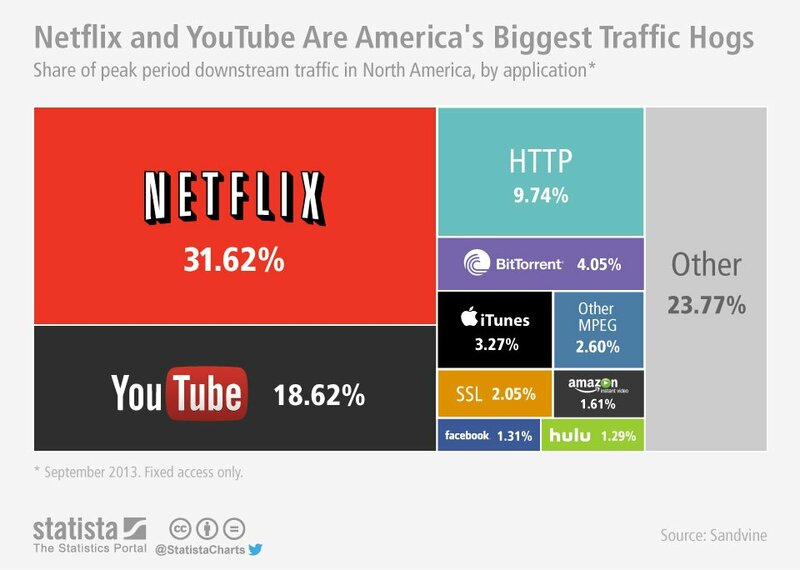 Live video streaming is very vast as more than one-third of business video was viewed in live streams. The average viewing time of the live stream is about 23 minutes. There are various applications and platforms are offering the live video streaming feature for the users to go live. When comes to the marketing today, the marketers are running towards the live videos and live streams, and everything was targeting with a real-time reach of audience. Yes, the video marketing inclined towards the live and real time. There are huge benefits by adding the live videos to the brand marketing strategy. Here are some general advantages for the brands by adding the live video to their Brand marketing strategy. Live video streaming for brands helps to drive the huge sales than regular way of reaching the customers. By adding the live video to the brand marketing strategy, the brands can build the new audience with the brand which may also turn positive to reap good benefits. The live stream can help the brands to know about their present exposure and helps them to estimate the things in market with the conversations between the brands and audience. Brands can launch the new products and can achieve good exposure within a short period of timeNew product requires more advertising and many other tactics to bring awareness to the audience about the product. The live video is the best way to make it easier. So, by utilising the various live stream applications, you can go with the product launching and also can take good suggestions from the audience. With the strong interactions and good approach through online video, the audience can also turn as your consumers. The live video helps in constructing the good loyalty among the audience towards brand which can result in better conversions with trust. Facebook platform is allowing the brands to get connected with their fans and consumers with the Facebook video live streaming. It allows the brands to share the real-time video. The Facebook live streaming has started in August 2015 via Facebook Mentions application for iOS platform. It becomes available for the people from December 2015. There are several advantages for the brands to utilize the Facebook live streaming for their branding. Facebook platform has introduced the live streaming mainly for the two primary reasons to control the bandwidth demand and to set the high standards for the streaming videos. At present, the live is available for some iOS platform users only. In future, it is also available for the android users too. The brands can broadcast their live streaming from the profile via mentions application. The users are allowed to write a simple description about the live video streaming and can update the status. There is also a choice to choose the audience before going live on Facebook platform. The brands can go direct with the public live and can get converse with the audience during the stream. This helps the brands to build the good community of audience across the platform. On the Facebook platform, the brands can acknowledge the audience before going live and also respond to the comments and views on your live stream. The brands can see the audience likes and response and make it as their strong point in branding to get good sales leads and growth. There is also an option to edit your videos by making your choice of thumbnails, category and call to actions which can amplify the brand reach. There are many different applications for the video live streaming for brand purposes. The live video streaming applications like Periscope, Meerkat, Snapchat and Blab are in the race, and YouTube will not lose its demand in the online branding and marketing. The live video streaming demand has increased in branding because the brands will get a good chance to interact with the audience in real time and can know about the negatives and positives of the brand outside. So those, the brands can improve the things in branding to get 100 percent success in sales and growth. Here are some ways that are followed by several brands using YouTube for the live video streaming. YouTube provides the brands and allows them to go live in real time ion one take with much ease. There is no other set up and pre-planning required to host on YouTube. Once the stream has started, it will get archived as a file. Many brands are unboxing their new product boxes and displaying to the audience by explaining the features and benefits of the particular products. It builds up the live, and real-time interaction with the audience with a question and answer type queries with the brands. Live video streaming for brands helps to improve their promotion strategies. The YouTube live video streaming for brands is more affordable comparing to other live streaming application services on the web. Brands are approaching the people with new contests and different approaches to reach their targets. Through live video streaming for brands can easily acquire the attention of the audiences. Live streaming has top priority in brand marketing. So, brands are using the live streaming applications like Periscope, Snapchat, Blab etc., for their brand marketing. These live video streaming applications are helping the brands to reach their consumers in real time. These apps are allowing the customer and brand interactions which can, in turn, increases the better exposure of the brands to the people which can increase the sales leads. Let us know about these apps and how they are helping for live video streaming for brands in their branding. The interactive and event-based content works well with the Snapchat application. Many brands are using the Snapchat actively for their branding. Some brands are approaching the audience with some clues for their live festival or event and building better interactive connection with the people real time. Live streaming product launching on Snapchat is also become one of the main tactic for the brands to get succeed. Periscope allows the users to catch the live stream and encourage the engagement of the audience with the brands. The app provides better interaction with the audience in real time. Brands are using the periscope’s sneak peeks into events. Some brands are using the periscope live streams for the products and for special offers. Celebrity take over’s and the live question and answers are hosting by the brands to improve their sales leads and connectivity with the consumers. This app provides the real-time intelligent tools which help the clients to adjust and engage the things with relevant audience. 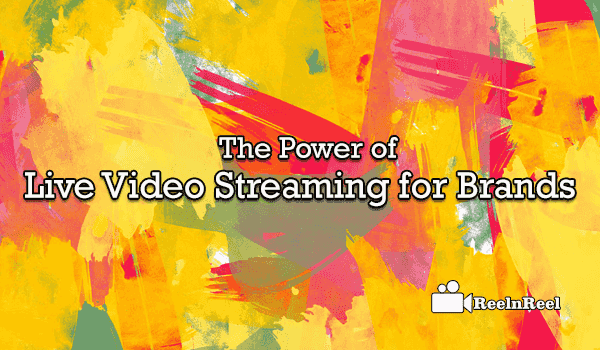 The a above is the excellent guide to know the power of Live Video streaming for brands. Advertisers must know the advertisng brands using Live video streaming using social media Streaming sites.